Ιδανικό για χαλάρωση και διασκέδαση, το Queen Central Hotel βρίσκεται στην περιοχή Περιοχή 1 της πόλης Ho Chi Minh City. Το ξενοδοχείο δεν απέχει πολύ από το κέντρο της πόλης: μόλις 0.1km, και συνήθως χρειάζεται περίπου 20 λεπτά για να φτάσετε στο αεροδρόμιο. Με την βολική του τοποθεσία, το ξενοδοχείο προσφέρει εύκολη πρόσβαση στους προορισμούς της πόλης που πρέπει οπωσδήποτε να δείτε. Στο Queen Central Hotel, η άψογη εξυπηρέτηση και οι ανώτερες εγκαταστάσεις συντελούν ώστε η διαμονή εκεί να σας μείνει αξέχαστη. Κατά την διαμονή σας σε αυτό το υπέροχο ξενοδοχείο, μπορείτε να απολαύσετε τα 24ωρη υπηρεσία δωματίου, δωρεάν WiFi σε όλα τα δωμάτια, 24ωρη φύλαξη, παντοπωλείο, ημερήσιος καθαρισμός. 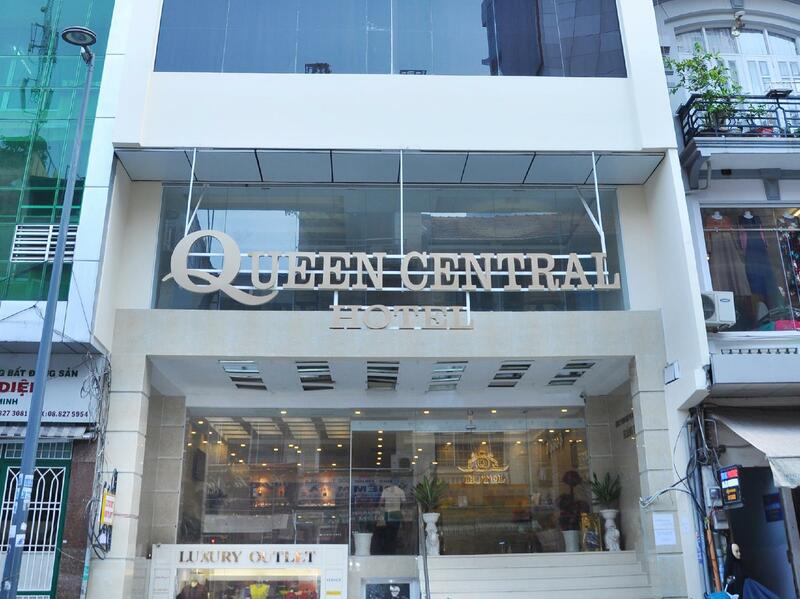 Το Queen Central Hotel διαθέτει 60 δωμάτια. Όλα τους είναι διακοσμημένα με γούστο και πολλά από αυτά παρέχουν ανέσεις όπως επίπεδη τηλεόραση, μοκέτα, κρεμάστρα ρούχων, δωρεάν καφές φίλτρου, δωρεάν τσάι. Η πλήρης λίστα των ψυχαγωγικών υπηρεσιών είναι διαθέσιμη στο ξενοδοχείο, συμπεριλαμβανομένων των υδρομασάζ. Απολαύστε τις ασύγκριτες υπηρεσίες και μια πραγματικά περίβλεπτη διεύθυνση στο Queen Central Hotel. The room has exposed electrical wiring and electric sockets that are damaged. The TV controller was not available and I had to get the front desk to obtain one. The buffet breakfast didn't have any alcohol burner under the heat trays so all of the food was cold as if they just brought it out from the refrigerator. Maybe I expect too much to have a hot breakfast. Not enough towel. Shortage of towel. Have to wait to another day. No kettle. Very disappointed. I booking 3 person for 1 room. But hotel allow 2 person in 1 room. I have to pay to another person. Always shortage of towel. have to wait until tomorrow morning. Very bad. No kettle. 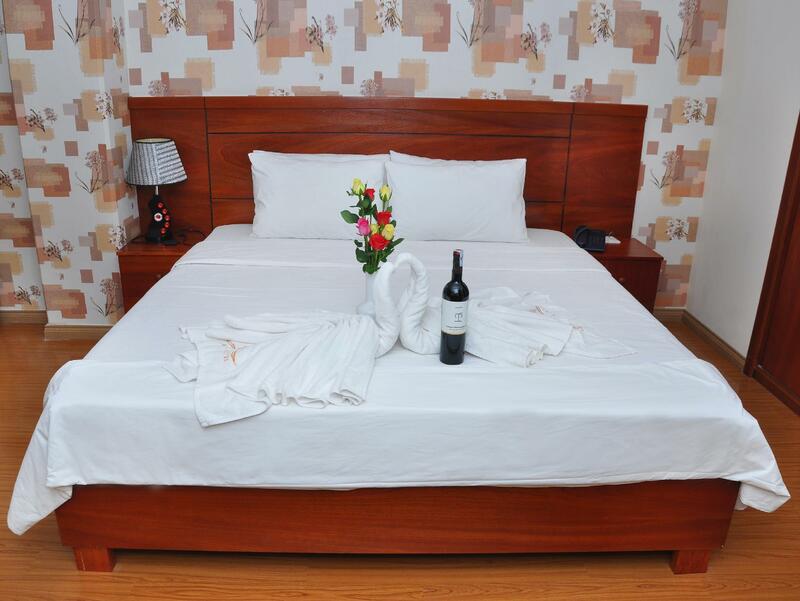 Booking for 3 person in 1 room. But allow for 2 person only for 1 room. Have yo pay for another person. the whole hotel is old. Strategic hotel for shopping and Halal food. I stay at 8th floor and the room so dirty. Water liking from roof . When I check in housekeeping not make up that room because so many liking water in the tray. Shower foam look like somebody already use and not to change a new. and I think this is very worst room. Bad experience.Room bad location(right at the end next to unused stairs),room with ants & cockroach,failed remote control for tv and no digit @ a/c remote.Slow respond to request of clean towel change.Will never come back to this hotel. Will not recommend, poor customer service, poor room service, room not clean, sofa chair was very dusty. Bad experience and will never stay at this hotel again. except it's near the shopping area, the hotel hs nothing good to mention. 1. construction materials right at the 8th flr corridor 2. aircond was not working 3. over crowded with 1 lift available. 4. hot water not working 5. the bfast restaurant on 9th flr only can only accomodate abt 20 pax at one time 6. staff was not helpful and demanding big tips when taking the bags frm the cars. 1.The restaurant for buffet breakfast is not hygienic at all. The staff worked with dirty shirt and short topping up food. 2. Cleaning of room was not done even though was requested few times. only cleaned once during our 5 days stay ...and same restaurant staff were on duty. They were playing with hp and talking loudly instead of cleaning. I hope the Hotel will upgrade the service as it is very convenience as far as location is concern. booked 2 rooms for us. 1 room is ok, but the other room 😔. It was not clean properly, you could at least remove the dust at the back of the fridge and side table. No ironing provided but u can rent the iron for RM 10 per hour. For the amount that you paid, maybe the hotel can at least upgrade the iron ?? There're hole at the ceiling and I kept thinking that there will be 🐀 coming down while we're sleeping. 😶 Other than that, bfast spread just OK. Location wise, is the best. Just in front of Amin muslim food where you can get to taste the best pho beef. 😍 Walking distance to Ben Thanh. When I first check in I found out I don't have any shampoo and body wash. After I came back again there's no water in my shower, and I called the counter to fix it, they say they will but there's no one here for this problem. And I call them three times more, no one answers the phone. Before I check out I still didn't have any water. Very disappointed. 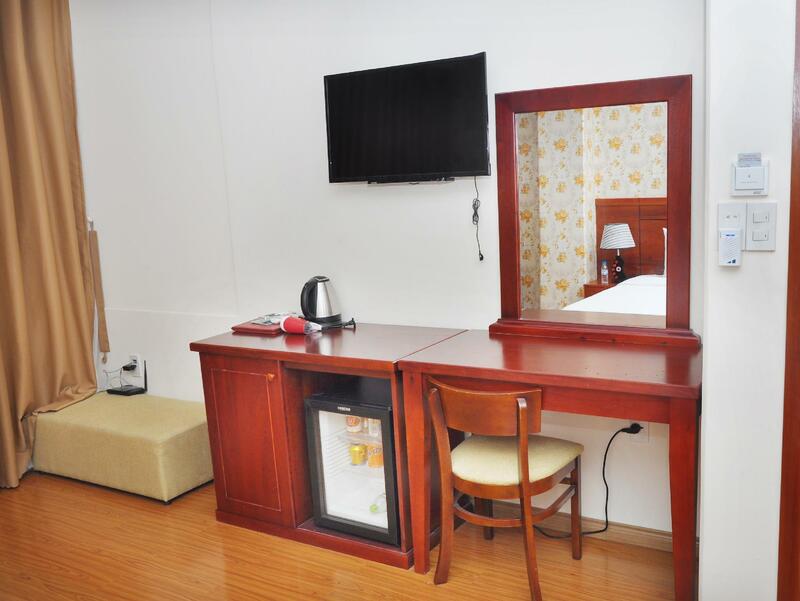 The place is really comfortable and cleanliness is acceptable but you have to pay 50,000 vnd (rm10) per hour to use the iron. Hope they can make more variety on the breakfast. We have the same breakfast everyday. Surrounded by halal restaurants and other hotels nearby. Bustling at night with night market and music. Many Muslim tourists with families and children. Ben Thanh market just 2-min walk away. Takashimaya is just behind Ben Thanh Market; opposite Saigon Square. My friend and I mostly walk all the way to takashimaya taking our sweet time and was able to watch a movie at Liberty Central, also walking distance to Queen Central. Hotel provides Weighing Machine and luggage wrapping services. Breakfast area on 9th floor. Toilets unfortunately have frosted glass door! Lots of other hotels to the right and left of Queen Central like Alagon and Blessing hotels. Opposite the hotel are rows of halal restaurants, good for Muslim travelers. Love the Banh Mi at Hj Osman Restaurant. 2-min walk to Ben Thanh Market as you exit left from the hotel. Buzzing at night with lots of night market. Safe to walk at night. Queen Central Hotel from my view is one of a big hotel in Malaysia street. Very convenient to get Halal food nearby. Very close to Ben Thant. Serving halal food Nasi Goreng, fried noodles, porridge, etc. for breakfast. Spacious room and lucky I can check in early at 12.30pm. Definately will stay here again if I in HCM. The breakfast very good but not so hygiene because we found hairs in the fried rice and their fried noodles. Location superb , the mattress not soft, quite hard compare to others. Staff good and friendly.